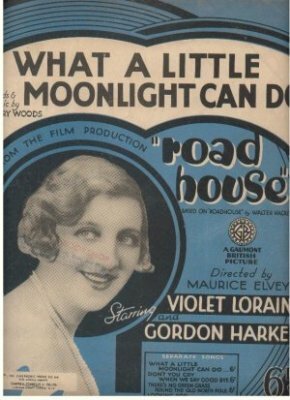 This charming song was written by Harry Woods while he was living and working in temporarily in London for a British film studio as a composer. One of the songs he wrote was “What A Little Moonlight Can Do” for a movie called Road House. Billie Holiday, with Teddy Wilson and His Orchestra, recorded the song in 1935. “What a Little Moonlight Can Do” was recorded in June 1996 and released in 1997 on the album Tony Bennett On Holiday.